A homeless mom of four, down on her luck, never saw this one coming. 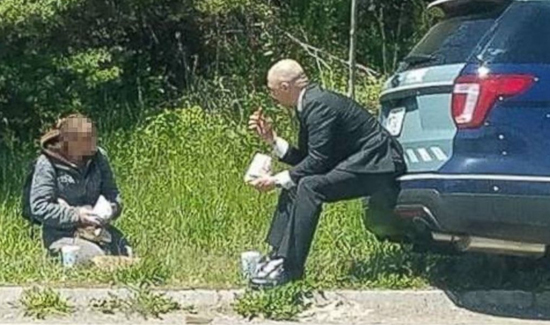 While out on the street Tuesday asking for money, she noticed a Massachusetts state trooper driving toward her before he pulled over. Certain she was about to be cited for panhandling, she immediately offered to leave, authorities said. Trooper Luke Bonin, however, had other plans. The other meal was for Bonin, who was dressed in civilian clothing after leaving court.